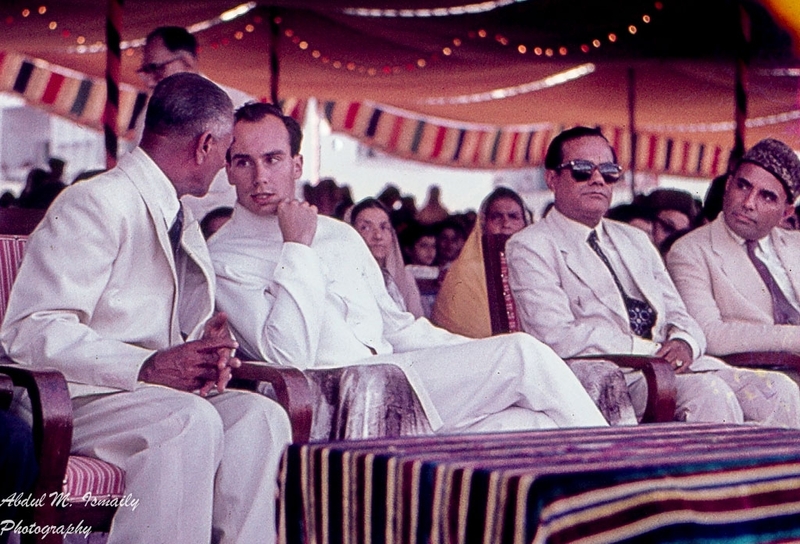 Editor’s Note: Our multi-part series of photos of His Highness the Aga Khan, Mawlana Hazar Imam, taken by the late Rai Abdul M. Ismaily (1926-1981), lovingly known as “Papa Jaan,” continues with this post containing photos captured in Pakistan. 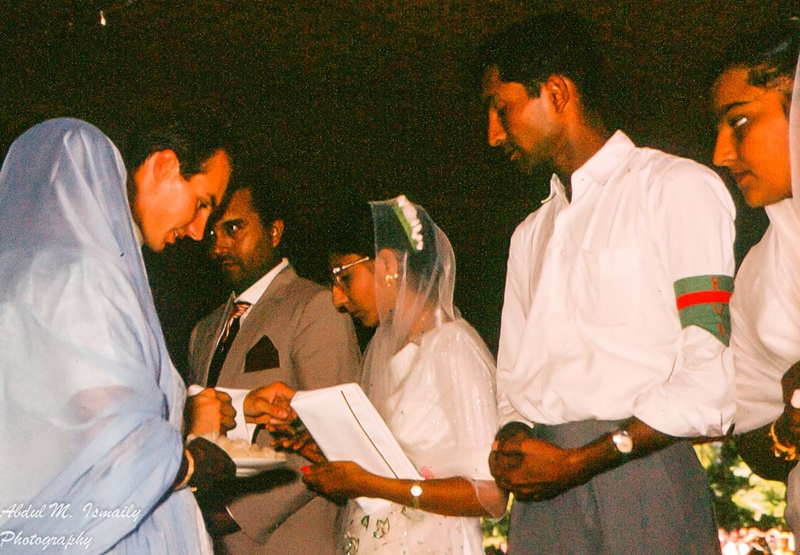 The photos (numbered 1 thru 22) are noted with “Incomplete captions,” and we therefore invite our readers who are familiar with the details of Mawlana Hazar Imam’s visit(s) to Pakistan to submit specific dates and places where the photos were taken, as well as name the individuals we have not been able to identify. Your contribution will ensure that each caption will accurately depict the specific function attended by Mawlana Hazar Imam during his visit to Pakistan. Please send the details to simerg@aol.com or submit them through the comments box at the end of this post. 1. Incomplete caption (event/troupes). Mawlana Hazar Imam, His Highness the Aga Khan, visits Karachi, Pakistan in 1961. Photo: Abdul M. Ismaily. Copyright. 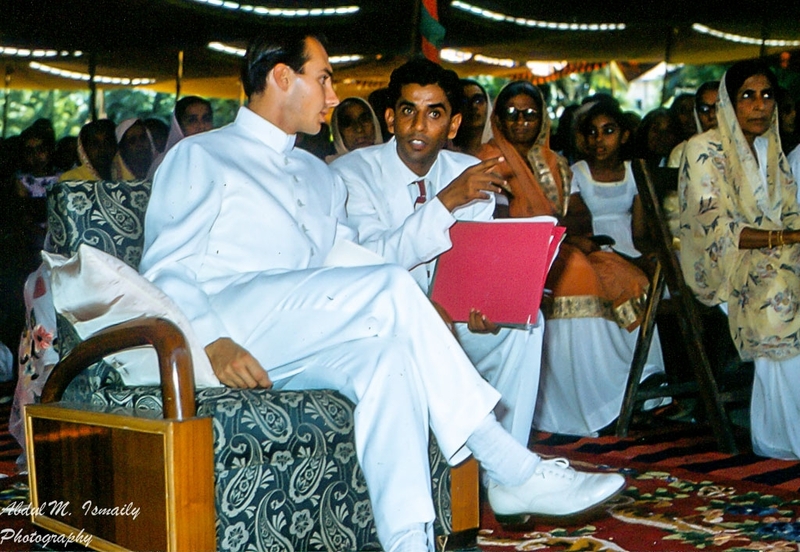 The late Mr. Ismaily’s photos have never been seen before, and thousands of readers from across the world were overjoyed to see photos of the 49th Ismaili Imam’s historical first visit to Hunza and Uganda in the early 1960’s (see links at the end of the post). We express our thanks to the Ismaily family for their generosity, and appreciate the efforts of our regular contributor, Mr. Muslim Harji, for facilitating the publication of the “Papa Jaan” collection on this website. The series will continue with more photos in the coming weeks. 2. Incomplete caption (event/individual with His Highness, musical objects in front including a note about the flags). 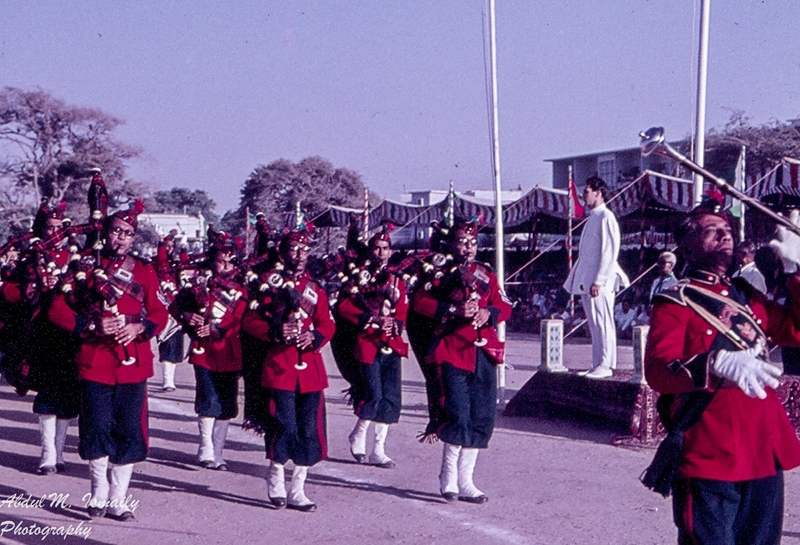 Mawlana Hazar Imam, His Highness the Aga Khan, visits Karachi, Pakistan in 1961. Photo: Abdul M. Ismaily. Copyright. 3. Incomplete caption (event, flags and specific incident of His Highness holding a flag post). 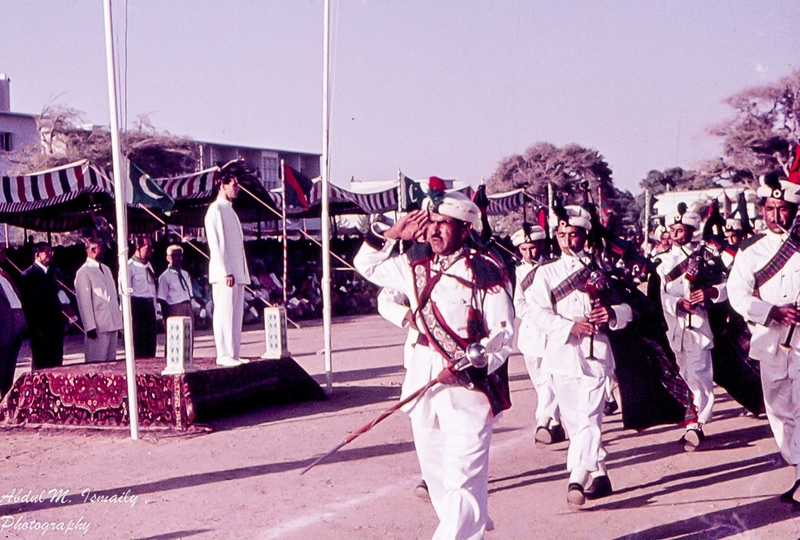 Mawlana Hazar Imam, His Highness the Aga Khan, visits Karachi, Pakistan in 1961. Photo: Abdul M. Ismaily. Copyright. 4. Incomplete caption (event/names of individuals with His Highness). Mawlana Hazar Imam, His Highness the Aga Khan, visits Karachi, Pakistan in 1961. Photo: Abdul M. Ismaily. Copyright. 5. Incomplete caption (event/band name). Mawlana Hazar Imam, His Highness the Aga Khan, visits Karachi, Pakistan in 1961. Photo: Abdul M. Ismaily. Copyright. 6. Incomplete caption (event/band name). Mawlana Hazar Imam, His Highness the Aga Khan, visits Karachi, Pakistan in 1961. Photo: Abdul M. Ismaily. Copyright. 7. Incomplete caption (event/band name). 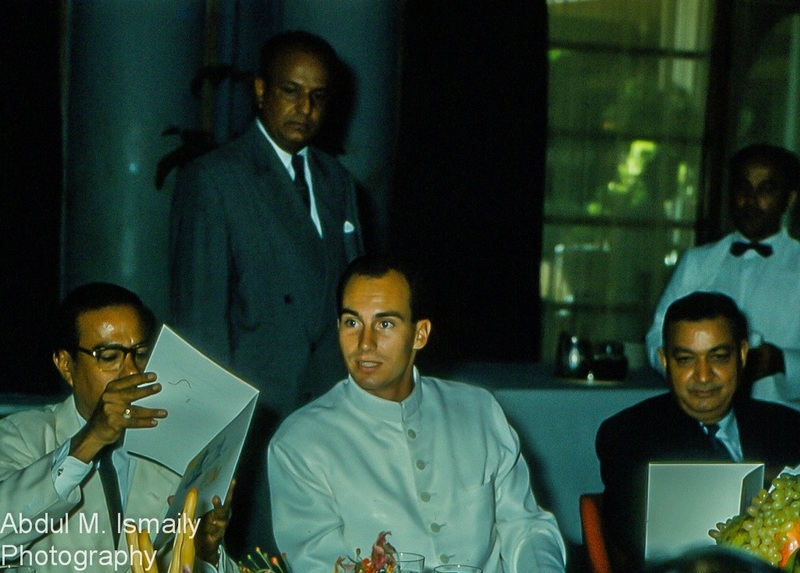 Mawlana Hazar Imam, His Highness the Aga Khan, visits Karachi, Pakistan in 1961. Photo: Abdul M. Ismaily. Copyright. 8. Incomplete caption (event/name of baby and mother). 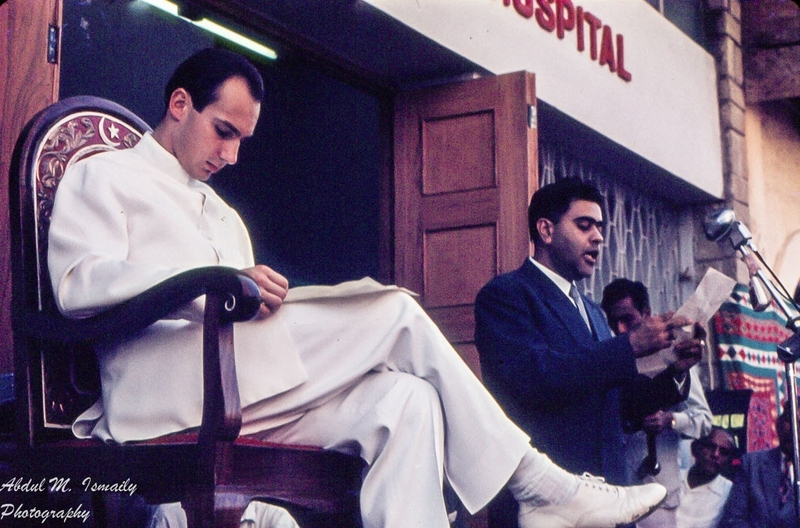 Mawlana Hazar Imam, His Highness the Aga Khan, visits Karachi, Pakistan in 1961. Photo: Abdul M. Ismaily. Copyright. 9. Incomplete caption (event/names of mothers and babies with His Highness). Mawlana Hazar Imam, His Highness the Aga Khan, with winners of a Baby Show held in Karachi, Pakistan, during his visit in 1961. Photo: Abdul M. Ismaily. Copyright. 10. Incomplete caption (event/name of individual speaking with His Highness, and others in the picture who can be identified). 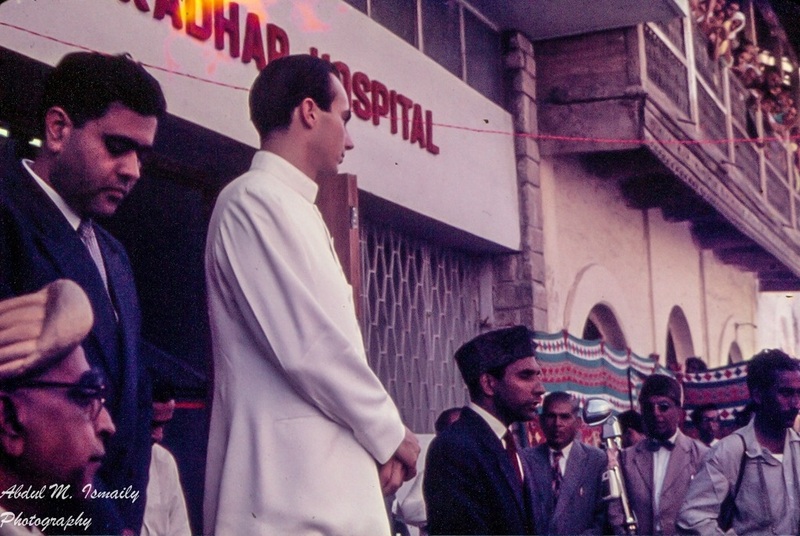 Mawlana Hazar Imam, His Highness the Aga Khan, visits Karachi, Pakistan in 1961. Photo: Abdul M. Ismaily. Copyright. 11. Incomplete caption (event/individuals in group photo with His Highness). Mawlana Hazar Imam, His Highness the Aga Khan, visits Karachi, Pakistan in 1961. 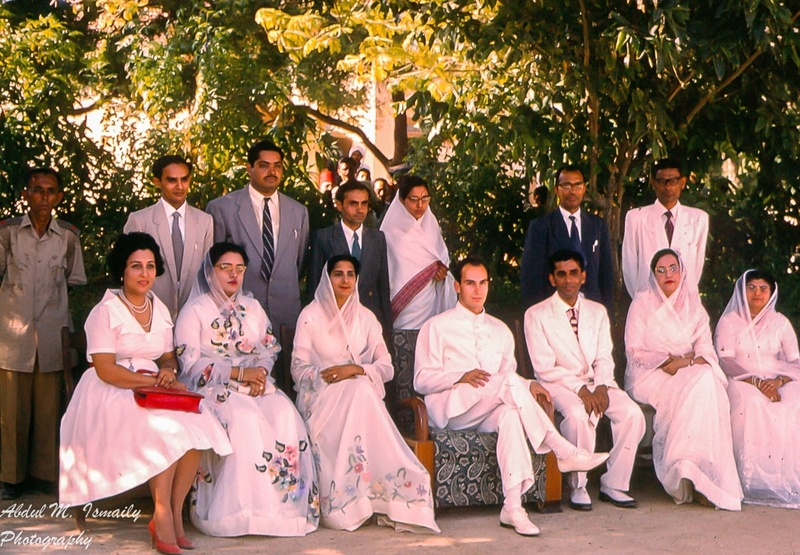 Back row: Tajmohd Madhani, (2nd from left); Front row: Farqoonda Fatheali Hashim (left) , Aziza Noorala Houdhboy (2nd from left); then at right of His Highness the Aga Khan, Mohammed Bana, Amirbanu Ibrahim Manji, and Gulbanu Allana. Photo: Abdul M. Ismaily. Copyright. 12. Incomplete caption (event). Mawlana Hazar Imam, His Highness the Aga Khan, speaks with the Late Itmadi Mohammed Bana (d. 2015), administrator of the Garden Ismailia Education Board, during his visit to Karachi, Pakistan in 1961. Incomplete caption. Photo: Abdul M. Ismaily. Copyright. 13. Incomplete caption (location of mulaqat – i.e. meeting – with the Ismaili community/names of leaders accompanying His Highness). Mawlana Hazar Imam, His Highness the Aga Khan, visits Karachi, Pakistan in 1961. Photo: Abdul M. Ismaily. Copyright. 14. Incomplete caption (location/names of married couple with His Highness). 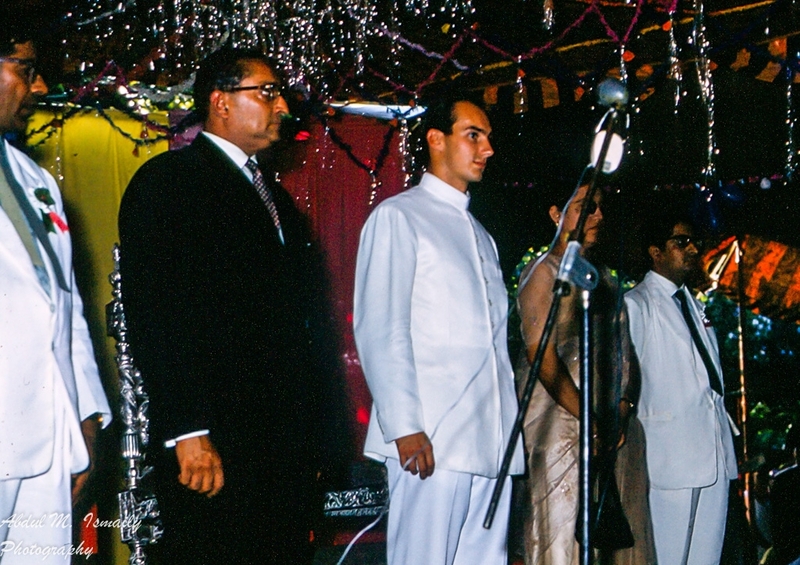 Mawlana Hazar Imam, His Highness the Aga Khan, blesses a newly wed couple during his visit to Karachi, Pakistan in 1961. Photo: Abdul M. Ismaily. Copyright. 15. 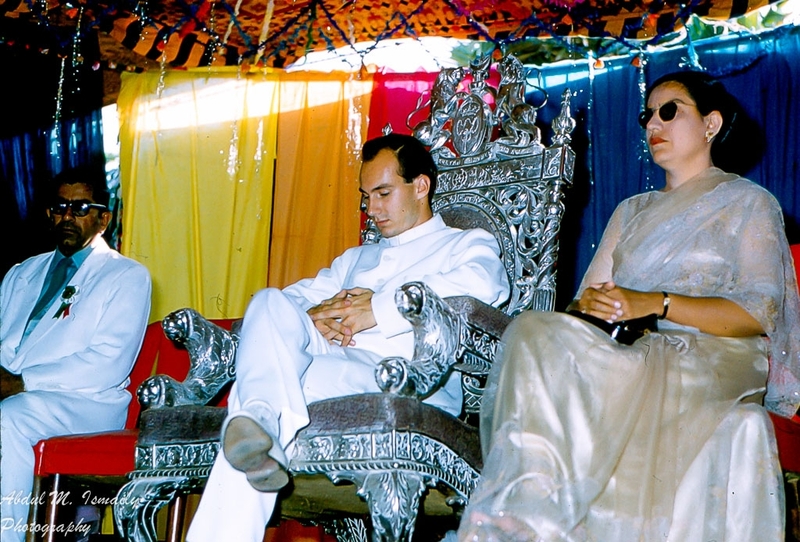 Incomplete caption (event, names of individuals seated with His Highness, motif on chair occupied by His Highness). 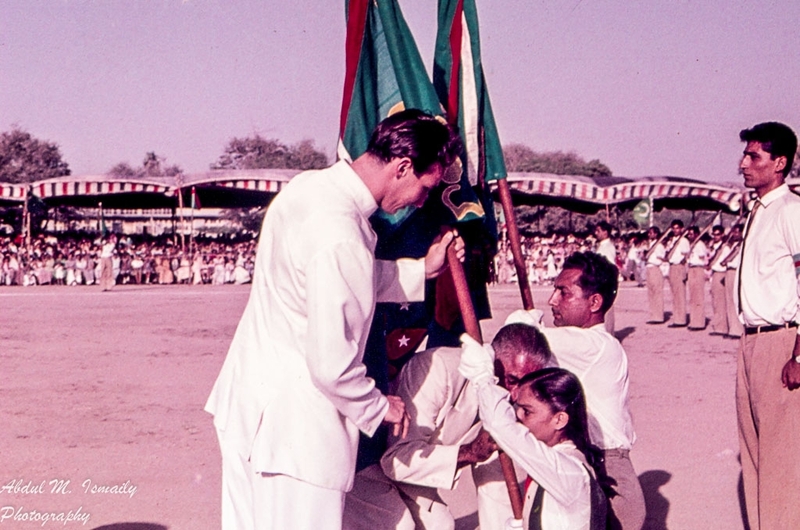 Mawlana Hazar Imam, His Highness the Aga Khan, visits Karachi, Pakistan in 1961. Photo: Abdul M. Ismaily. Copyright. 16. Incomplete caption (event/name of reciter and others recognizable in the group)). Mawlana Hazar Imam, His Highness the Aga Khan, visits Karachi, Pakistan in 1961. Photo: Abdul M. Ismaily. Copyright. 17. Incomplete caption (event/name of speaker). Mawlana Hazar Imam, His Highness the Aga Khan, visits Karachi, Pakistan in 1961. Photo: Abdul M. Ismaily. Copyright. 18. Incomplete caption (event/stage background motif/names of individuals on stage with His Highness). 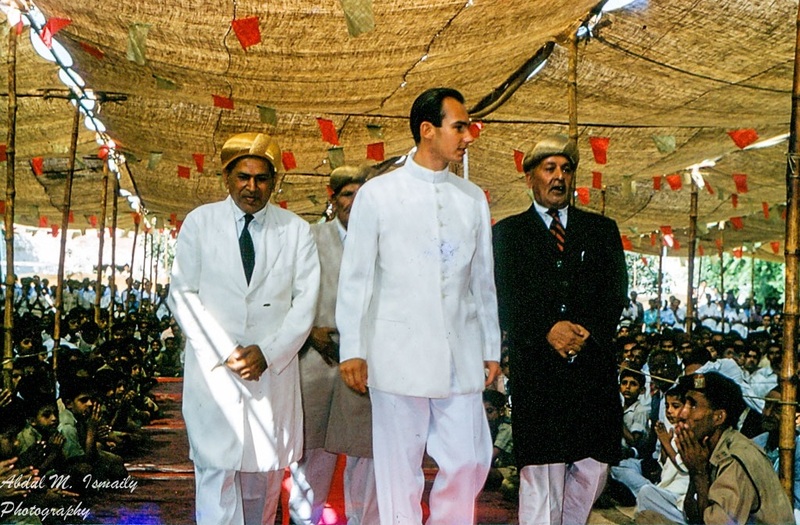 Mawlana Hazar Imam, His Highness the Aga Khan, visits Karachi, Pakistan in 1961. Standing at right is the Late Itmadi Mohammed Bana (d. 2015), administrator of the Garden Ismailia Education Board. Photo: Abdul M. Ismaily. Copyright. 19. Incomplete caption (event/names of individuals standing with His Highness). 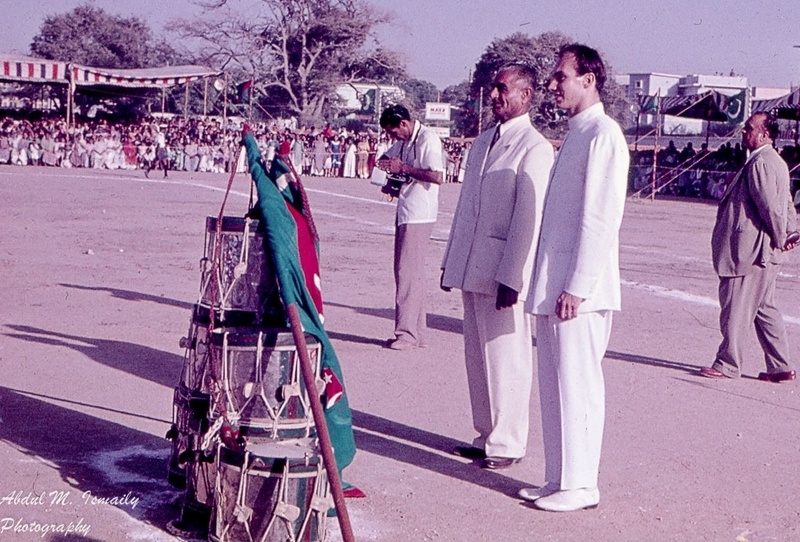 Mawlana Hazar Imam, His Highness the Aga Khan, visits Karachi, Pakistan in 1961. Photo: Abdul M. Ismaily. Copyright. 20. 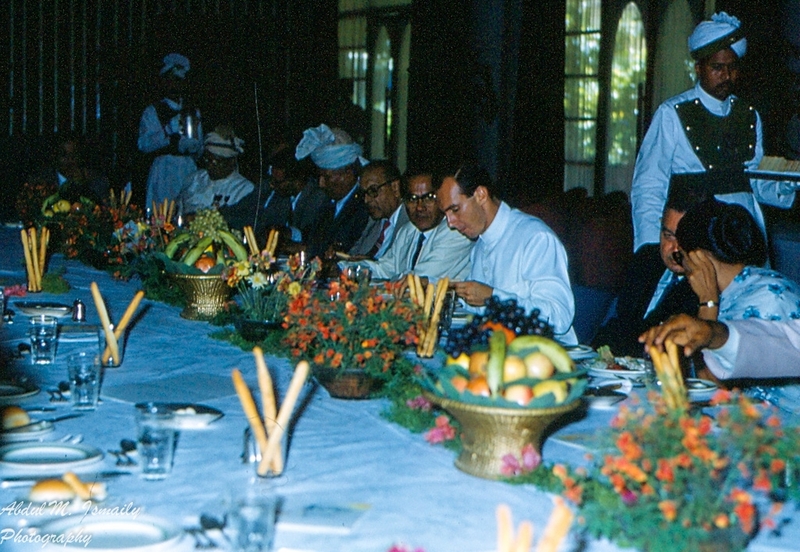 Incomplete caption (event/names of individuals seated at table with His Highness). Mawlana Hazar Imam, His Highness the Aga Khan, visits Karachi, Pakistan in 1961. Photo: Abdul M. Ismaily. Copyright. 21. Incomplete caption (event/names of individuals seated with His Highness). Mawlana Hazar Imam, His Highness the Aga Khan, visits Karachi, Pakistan in 1961. Photo: Abdul M. Ismaily. 22. Incomplete caption (event/names of individuals seated with His Highness). 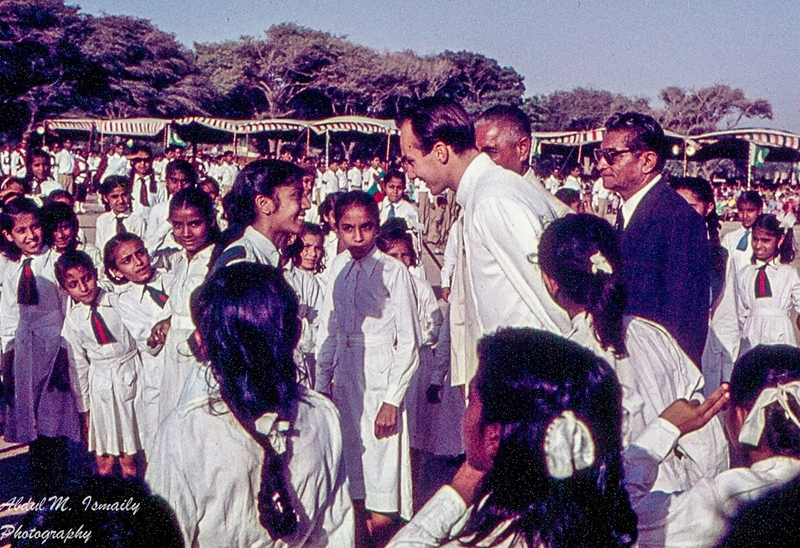 Mawlana Hazar Imam, His Highness the Aga Khan, visits Karachi, Pakistan in 1961. Photo: Abdul M. Ismaily. Date posted: February 20, 2016. Date updated: June 29, 2016. 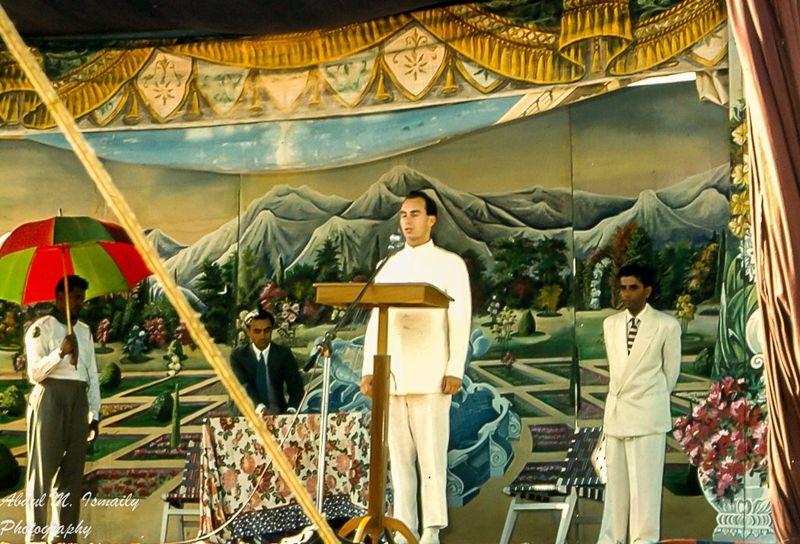 Exclusive: Photos of Mawlana Hazar Imam’s 1960 Visit to Hunza by the Late Abdul M. Ismaily (“Papa Jaan”). For Papa Jaan’s profile, please click Contributors. Readers are invited to submit their feedback below. Brought back wonderful memories of my youth in Karachi. Noteworthy. This community has come a long way. Watch how mulaqat was performed back then. And then compare his last visit to Karachi in 2017. Mowla, from his early days as Imam to now. What a transformation of our community. Wonderful pictures, reminds one of happy moments of a fruitful visit of 1961. Exellent pictures of Mowlana Hazar Imam. Mowlana Hazar Imam is talking to a young Girls Guide, I believe her name is Parin Bai Suteria, she lives in Atlanta, Peachtree city, Georgia. Rehman Ramzan Ali is her nephew, he lives in North Houston. Ahh, merci pour tant de générosité à partager ces souvenirs uniques et historiques ! Insh’Allah, les gens se manifesteront pour compléter les légendes (= captions) de ces trésors ! Petite suggestion : n’hésitez pas à garder les photos en blanc et noir ! Elles aussi ont toute leur valeur ! 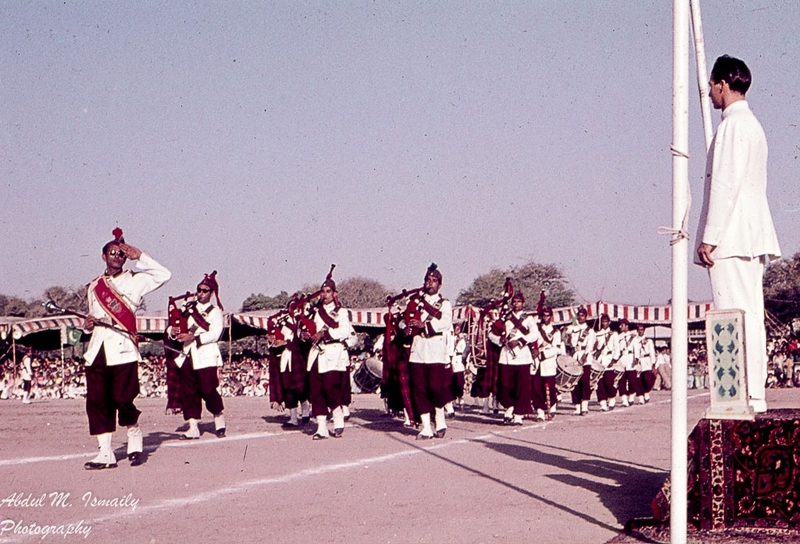 I was member of the then Darkhana’s (Kharadhar) Pipe band. Those were beautiful times with the band.